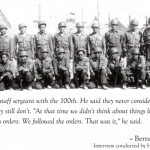 LOS ANGELES.—The new book, Proud to Serve: Japanese American World War II Veterans, which contains more names from more units than any other publication, is available for sale through mail order, online and at selected retail outlets. Published by The Rafu Shimpo in collaboration with the Japanese American Living Legacy historical organization, Proud to Serve lists the names of Americans of Japanese ancestry who served in the United States military during World War II. Among the units presented are the 100th Infantry Battalion, 442nd Regimental Combat Team, Military Intelligence Service, 1399th Construction Battalion, the 1800th and Women’s Auxiliary. The book, which is over 400 pages, also features summaries of the key campaigns in the European theater, descriptions of the contributions of Nikkei MIS members and short remembrances written by the relatives of the veterans along with historic photographs. 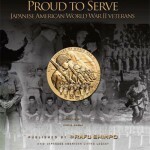 Inspired by the National Congressional Gold Medal ceremony held in Washington, D.C. in October of 2011, recognizing the outstanding contributions of Japanese Americans who served in the 100th Infantry Battalion, 442nd Regimental Combat Team and Military Intelligence Service, The Rafu Shimpo and Japanese American Living Legacy began to conceive the idea of publishing a book that contained more names and more information than any previous publication. The Hawaii Herald newspaper assembled a comprehensive list of Nikkei veterans from Hawaii and invited Susan Uyemura of Japanese American Living Legacy to help with its publication. Realizing that no book had attempted to pull together a more complete listing of names of Japanese Americans who had served during World War II, Uyemura approached Rafu Shimpo publisher Mickey Komai with the idea of a new book. Thanks to a generous initial gift from Dr. Paul Terasaki and the Nibei Foundation, Proud to Serve began moving forward with the support of community and family sponsors and a volunteer publication team. Family members of Japanese American veterans were approached to provide personal perspectives. While campaign summaries of the 100th/44nd are readily available through many sources, Proud to Serve includes a battle log prepared from the units’ Narrative of Events. The log gives a glimpse into the severe fighting of the most decorated unit in U.S. military history. 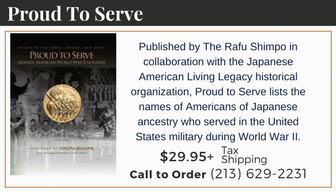 Proud to Serve is available for $29.95 (plus tax) at the offices of The Rafu Shimpo, 701 East Third Street, Suite 130, Los Angeles, CA 90013-1789. It can be shipped mail order through the newspaper ($7 for the first book for shipping, $3 for each additional book) or be picked up. 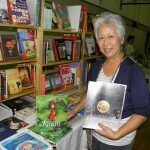 Additionally, books can be ordered through the newspaper’s web site at www.rafu.com. Books are also available in Little Tokyo through Kinokuniya Bookstore, Rafu Bussan and the Japanese American National Museum, in other areas, Studio Effects in Gardena, Japanese American Community Credit Union in Los Angeles Seinan district, Torrance and Long Beach, Takahashi Market in San Mateo, Asian American Curriculum Project (AACP), Japanese American Museum of San Jose, the National Japanese American Historical Society in San Francisco, Japanese American Resource Center in Denver, CO., and 442nd Clubhouse in Honololu, HI. Carolyn Sanwo of Heritage Source sells books covering such topics as Japanese American history and literature (including The Rafu’s “Proud to Serve”) and Japanese traditional and pop culture (including the book version of Hayao Miyazaki’s movie “The Secret World of Arrietty”).